When he was 25, Vincenzo was led to his teacher, Master Jean Klein, a sensitive and wise European medical doctor and musician, who introduced him to ancient teachings from India including yoga and Advaita Vedanta (the philosophy of non-duality), to a spirit of openness for all spiritual traditions and intelligent quests, and to the appreciation of beauty in all its expressions. Vincenzo learned to see life as Presence, an endless field of consciousness, full of wisdom, and amazingly beautiful, and to understand that the challenge for human beings is to remain open to it. Today, at 53, after devoting his life to these teachings, Vincenzo shares them through his work. Before Master Klein died in 1998, he told his student: “you will go and speak to the world from this place of presence”. Vincenzo proceeded to devote several years to researching the physiology and psychology associated with this profound and healing experience and finding ways to make it accessible to others. He has developed a powerful process which he has called The Now Technique. The Now Technique teaches us to weave our body, heart, and mind into a harmonious whole, a whole which is the source of all meaning, compassion, conscious action, and creativity in the human being. Through simple, easily learned practices, The Now Technique reminds us how to know, love, and be who we truly are. A gifted teacher and powerful presence, Vincenzo offers his own body, mind, and heart in the service of enlivening this openness and Presence in all of us. He shares his gifts with people around the world, helping them to heal splits within themselves and achieve peace and a free flowing connection to their lives and their world. -~ Vincenzo speaks English and Italian. Jose Ricardo has dedicated his life to the embodiment of transformation, personal growth and spiritual development. He was born in Colombia and educated at The Universidad de los Andes where he received an Industrial Engineering degree with a minor in Human Development and Computer Science and did postgraduate work in Organizational Development. After leaving school, he worked for ten years in Human Resources and Organizational Development. At 28, after rising to the position of HR director for Colombia, Venezuela, and Ecuador for Merck Corporation, he left business to pursue spiritual development and lived in an ashram (spiritual community) for eight years, practicing meditation and community service and serving as abbot of the community. At the age of 36 he returned to the business world and spent 20 years in Operations and IT Management, primarily in the US Telecommunications Industry, while continuing to study and practice meditation, personal development, and consciousness. 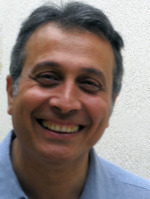 He obtained certifications in hypnosis and related techniques and developed an in-depth understanding of Neuro-Linguistic Programming (NLP), Life Coaching, and Integral Theory. In 2004, he had a revelatory experience while helping a family in Miami with a very problematic situation concerning their daughter. Through this experience, it became clear that it was “through him” and not “because of him” that results were achieved. This personal experience of being used as a vehicle of grace and love ignited the flame of service within again, and in 2006 he moved to Sedona to pursue a full-time career as a counselor and consciousness instructor. 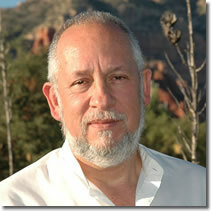 In 2013 he moved to Dallas to establish The Now Technique Institute in the US, a task which allows him to integrate his background in both business and consciousness studies. ~ Jose Ricardo speaks English and Spanish. My 30+ year career as a clinical psychologist has encompassed realms of teaching, consultation with businesses and community agencies, program development and evaluation, and facilitation of groups and workshops both locally and internationally. I have had extensive experience in the areas of performance enhancement, trauma, employer-employee relationships, stress management training, pain management, crisis resolution, PTSD and psychological assessment. I have facilitated workshops on communication skills, The Sedona Method, Holotropic Breathwork©, EMDR, biofeedback, anxiety reduction, stress management, and pain control. As a therapist and facilitator, I work with executives, teams and individuals willing to expand their awareness beyond the everyday stresses and conflicts that limit creativity and productivity. I have taught thousands of people how to relax, reduce their stress, and release the emotions that prevent them from realizing and putting into action their true potential. I have also produced two CDs: Fearless Flying and Relaxation for Those In a Hurry. I also work in the area of sports performance. The thing that has most interested me throughout my journey is deep inner freedom or awakening, and how to attain it. I, too, have gone through many modalities and experiences, and I realize that it is all here in the PRESENT MOMENT. The Now Technique is profound, powerful, elegant and eloquent, precisely because it points us to the here and now and not out to some future goal or attainment that is never achievable. 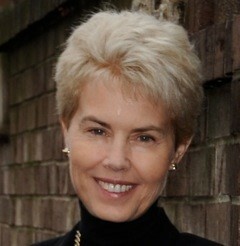 Lynn C. Royster, J.D. Ph.D.
Lynn is a lawyer and a professor at DePaul University where she also founded and directed the Chronic Illness Initiative, a program to help students with chronic illness obtain a degree. After practicing law for some years, Lynn became interested in less antagonistic ways of solving problems and returned to school to do a doctorate in conflict management and transpersonal psychology. She is a trained mediator and has skill with several methods of personal growth including various forms of shadow work, personal inquiry, life planning, and meditation. She is also a course designer, presenter, writer, and group facilitator. An experienced classroom and online teacher, Lynn has taught courses in transpersonal psychology, writing, planning and goal setting, chronic illness, and conflict management. She has also volunteered in many capacities – with battered women, people in the recovery community, and people with chronic illness – and currently serves on the board of the CFIDS Association of America. A long time caregiver for severely ill family members, she is currently working on a book aimed at helping caregivers. She has previously published personal essays, academic articles and a children’s book. Lynn is thrilled to be working with The Now Technique which she sees as an all-encompassing and supremely gentle and noninvasive path to personal growth and trauma reduction.